This work concerns itself specifically with "Christian" heresies, ie departure from Christian orthodoxy. The author surveys minority believers from the early Judaizers through Gnosticism, Nestorianism, Pelagianism, Lutherinism, Anglicanism and other movements and minorities. The book attempts to explain the differences between different strands of Christian thought, and also provides a narrative of the development of Christianity down the ages. 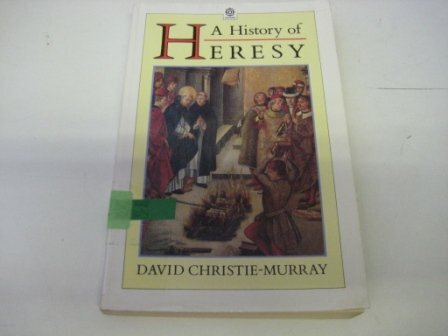 About the Author David Christie-Murray was educated at the universities of London and Oxford and at Wyclif Hall, Oxford. He was ordained, but after 27 years he resigned orders, having moved, theologically, from the Anglican position towards that of the Society of Friends.